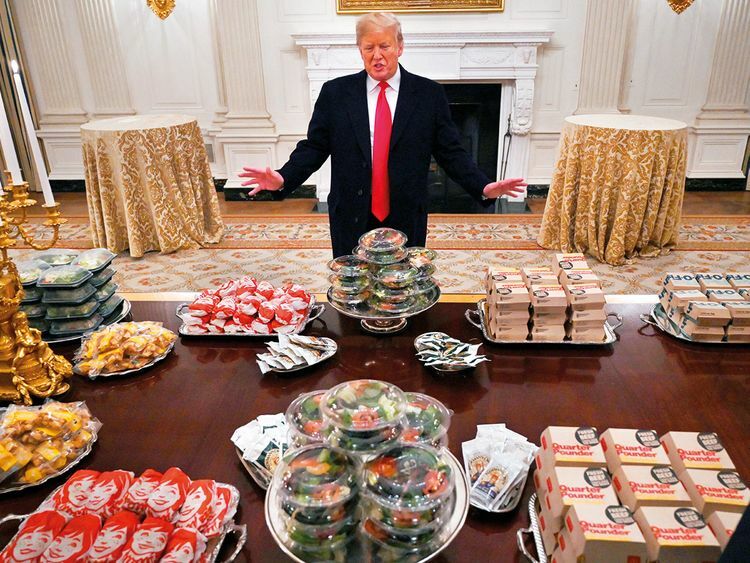 Washington: President Donald Trump, who delights in confounding health experts with his junk food cravings and disinclination to exercise, is “in very good health,” his doctor declared Friday following an annual medical check-up. The Marine One helicopter returned the 72-year-old head of state to the White House from the Walter Reed National Military Medical Centre in the Washington suburb of Bethesda after a full four hours of prodding, poking and testing. Last year, everything from the president’s cholesterol levels [high] to weight [too high at 239 pounds, or 108 kilograms] was released. Trump’s then chief physician, Ronny Jackson — who has since run into trouble over alleged ethical misconduct — also held an unusually detailed press conference in which he declared Trump to be in “excellent health”. On the plus side, Trump doesn’t smoke and is a noted teetotaller. He says he’s never even had a beer.